Amazon is hosting one those regularly scheduled SanDisk flash storage sales as today’s daily deal, but today’s happens to include two options that you really should consider jumping at if you are in need of mobile storage. 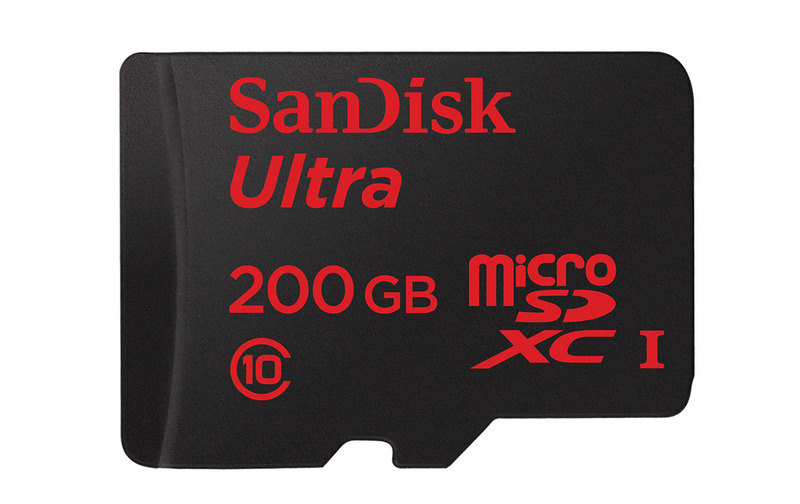 For one, you can grab their 200GB microSD card for just $59.99. This is a product that started out at $240 when it arrived last June. It has seen a number of price drops in about a year, but typically hovers around $80. So yeah, you get a $20 savings today. In another underrated deal, SanDisk and Amazon are offering up a combo package that includes a 128GB microSD card and a 128GB USB Dual Drive for the same $59.99. The SD card is pretty standard fare, but that bonus 128GB Dual Drive could come in handy in a number of situations. For those not familiar, this is double-ended drive that has USB 3.0 and microUSB connectors to let you quickly go from transferring files on your phone to your computer in minutes. It not only expands the storage of your phone, but easily lets you take them to another phone or tablet or computer. The deals are good for the next few hours.